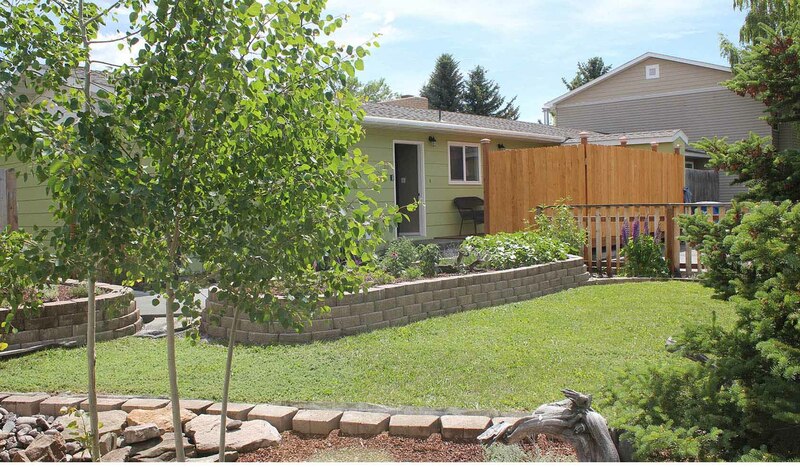 Bridger Guesthouse is a brand new vacation rental, with 3 bedrooms, 1 bath, full kitchen (microwave, dishwasher, range, full sized fridge), and laundry area with a washer/dryer. There is a large fenced yard, with a large front patio, with views of the Bridger Range to the north. Parking for RV's with plugins. No waste dumping. Off-street parking, with plenty of parking on street as well. We landscape with native regional plants of the Northern Rockies. This neighborhood is the quintessential college town neighborhood, and is very close to everything. MSU is less than 10 blocks to the west, and the Museum is a short walk down the Gallagator-Linear Trail to the south. Peet's Hill/Burke Park is about 1/2 mile walk, Christie Fields is a few blocks away. Downtown is about 1 mile, and accessed through multiple spots, branching off of the Linear Trail. Take the trail directly to Lindley Park and the Bozeman Public Library as well! We offer guided tours as well (Sun-Tues), and offer a booklet with many fun vacation (stay-cations for us!) ideas and planned trips. We could also arrange guided tours and car rentals if needed. If you are looking for some high mountain adventure, we are the people who can fill you in on the best, less traveled paths from Billings to Missoula, and down into Jackson Hole, WY.